Manufacturer’s Suggested Retail Price. Excludes options; taxes; title; registration; delivery, processing and handling fee; dealer charges. Dealer sets actual selling price. While great effort is made to ensure the accuracy of the information on this site, errors do occur so please verify information with a customer service rep. This is easily done by calling us at (844) 278-1847 or by visiting us at the dealership. 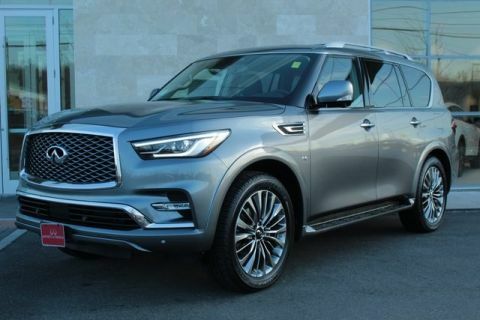 Blue 2019 INFINITI QX80 LUXE **AWD**, NAVIGATION, **BLUETOOTH*** ***HANDS FREE***, ***MOONROOF***, **LEATHER SEATING**, **HEATED SEATS**, **HEATED STEERING WHEEL**, SENSORY, PROACTIVE PACKAGE, PRO-ASSIST PKG, **LOADED**, **EVERY OPTION**, 120V Power Outlet, 22" Wheel Package, Adaptive Front Lighting System, Advanced Climate Control System, All-Season Floor Mats, All-Season Package, Backup Collision Intervention (BCI), Blind Spot Intervention (BSI), Blind Spot Warning, Bose Cabin Surround Sound System, Cargo Area Mat, Cargo Package, Charcoal/Espresso Burl Trim, Chrome Outside Mirror Caps, Climate-Controlled Front Seats, Dual 8" Color Monitors, First-Aid Kit, Front Pre-Crash Seatbelts, Headlight Washers, Heated 2nd-Row Seats, High-Density Non-Slip Rear Cargo Carpet, Hydraulic Body Motion Control System, Intelligent Cruise Control (Full-Speed Range), Navigation system: INFINITI InTouch Navigation, Nylon-Cord Cargo Net, ProACTIVE Package, ProASSIST Package, Semi-Aniline Leather-Appointed Seating w/Quilting, Sensory Package, Smart Rear View Mirror, Split Bench Seat Package, Theater Package, Vehicle Speed-Sensitive Power Steering, Wheels: 22" x 8.0" 14-Spoke Forged Aluminum-Alloy, Wireless Headphones (2). 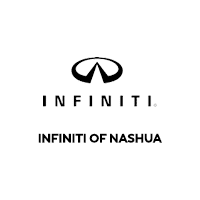 Welcome to the INFINITI of Nashua website, a fast and convenient way to research and find a vehicle that is right for you. 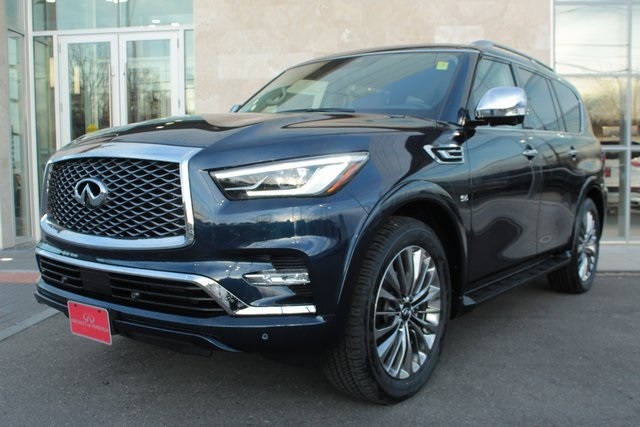 Whether you are looking for a new or pre-owned INFINITI car, truck, or SUV you will find it here. 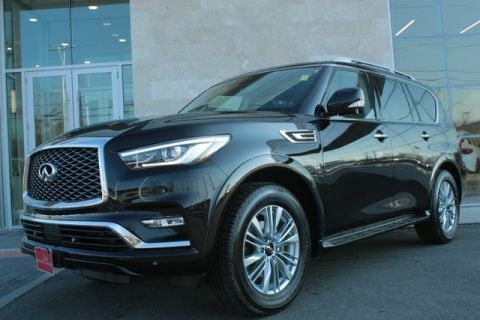 We have helped many customers from Amherst, Bedford, Bow, Concord, Derry, Goffstown, Henniker, Hillsborough, Hollis, Hooksett, Keene, Manchester, Merrimack, Milford, Nashua, New Boston, Peterborough, Salem, Weare and Windham find the INFINITI of their dreams! We know that prospective customers are extremely well educated when researching their next vehicle. 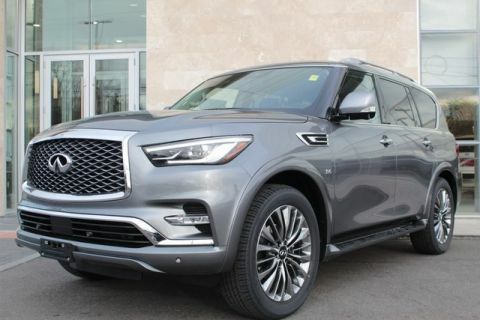 INFINITI of Nashua has made it easy to get all the available vehicle information so you can spend less time researching and more time enjoying your purchase. Check out our new specials and pre-owned specials on the lot now.